The Solstice is proof you do not have to spend much money to have a great helmet, easy to use. Designed to be comfortable from day one, the Solstice features the LockDown strap dividers and Micro-Manager fit system, two Bontrager technologies that allow rapid adjustment. MIPS, "Multi-directional Impact Protection System", sets a new standard in helmet safety. Developed by brain surgeons and scientists, MIPS helps reduce rotational forces on the brain caused by angled impacts to the head. 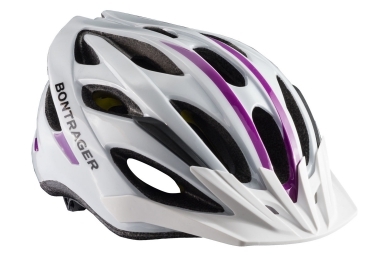 Casque Femme BONTRAGER SOLSTICE MIPS 2017 Blanc clasificado 4.3 de 5 por 12.